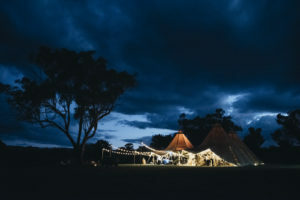 From traditional romantic to boho chic to vintage glamour, the KataLane team would love to help you design a bespoke theme for your event, arrange your teepee hire, and create a unique ambiance which makes every angle of the space instagram-worthy. Our Kåta tipis are undeniably spectacular from afar, but it is the interior that opens up a whole new layer of beauty. When guests step inside our tipis, they are universally awestruck. Originally built by the nomadic Sami people of Lapland, our tipis are designed to withstand the harshest of weather conditions. This focus on function over form has resulted in a natural and elegant aesthetic. 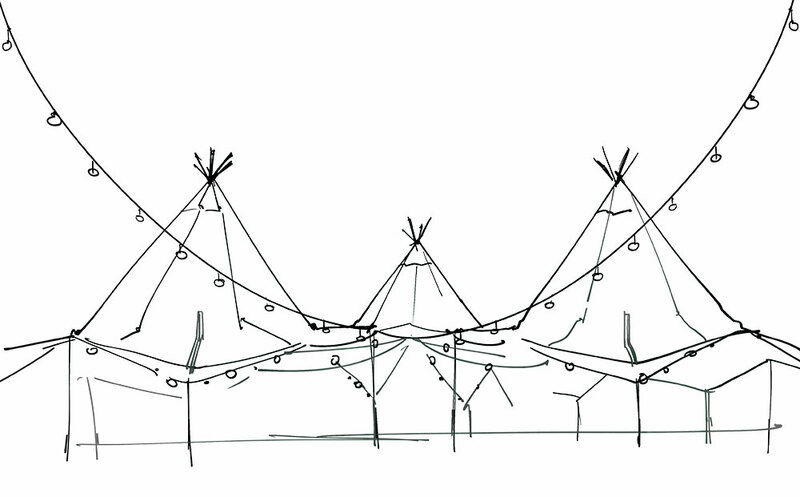 As a smaller option, the Kung is the perfect tipi hire for intimate parties as well as being very popular at larger events for chillout zones, stalls, bars, receptions or catering tents. The entranceway panels can be raised to create a seamless covered link to an adjoining tent, enabling flexible size and space configurations. 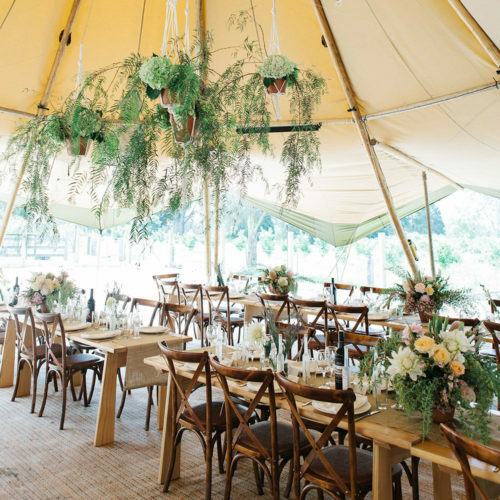 Sometimes nicknamed ‘Witches Hats’, this distinctive tipi hire tent is ideal for cocktail style events or sit down dinners. 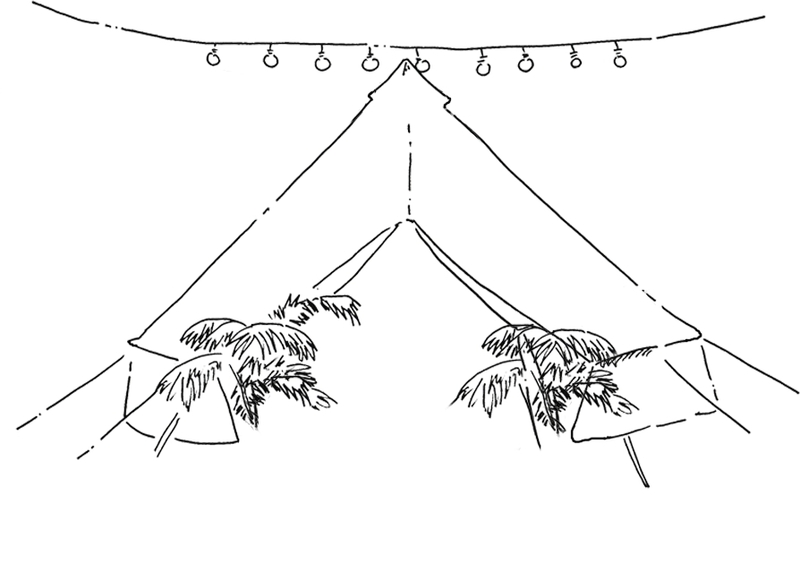 In warm weather, the sides of the tent can be raised to let in breezes and form a cool shady brim. With their patented linking system, the Giant Kåta and Kung can be joined seamlessly together in any combination to form huge flexible spaces, creating a custom floor plan to fit your event. 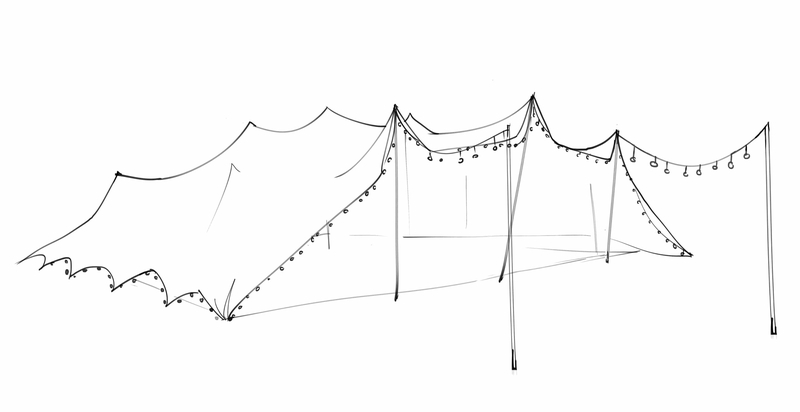 We searched high and low for a classic sailcloth marquee with a distinctive modern twist. We finally found it in America’s north east and are thrilled to bring these luminescent sailcloth marquees to Australian shores. Shaped to allow natural light to flood in during daytime events and to create a captivating glow when lit up at night, the Hamptons sailcloth marquees feature distinctive canopies, crisp peaks and dramatic curves. In the Sperry Tent style, the use of crafted timber poles throughout to suspend the cloth adds to the feel of strength and character. We offer three styles of Hampton marquees. Note: All our Hampton’s structures can be connected together using our wave Marquee. The Komet comes in four different sizes and is perfect for those intimate functions, or just use the 10m Round as a dance floor, chill-out zone or bar at bigger events. The Kismet marquee comes in two sizes and is ideal for a large formal dinner crowd, or for integrating a bar and dance floor for cocktail functions. The Wave is a functional and stylish connector marquee. It’s ideal as a covered walkway between Kismets or Komets, or a stylish red carpet entrance to welcome VIP guests. The Wave allows you to create a flexible floorplan linking multiple spaces. For examples of previous floorplans, see below. 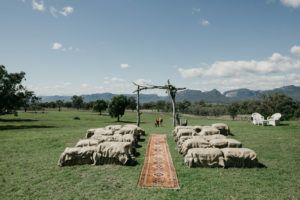 Our Nomadic Marquees, also known as stretch tents, freeform tents, or stretch marquees; are the most versatile of party tents on the market for creating unique, stylish, and performance shelter. German engineering ensures top quality materials as well as a super durable structure. Available in a sandy or cream colour they sit beautifully in the Australian landscape. These extremely versatile structures can also be used as an affordable add on to our Tipis or Hamptons range as a catering or chill space. Think of our Nomad Marquees as one large stretchy waterproof membrane that can be pushed up in a range of different shapes and heights with modular poles. Measures 6.5 x 6.5m and is 42m²; accommodating approximately 20 people seated at tables or 40 standing. Measures 6.5 x 10m and is 65m²; accommodating approximately 30 people seated at tables or 60 standing. Measures 9 x 11m and is 100m²; accommodating approximately 60 people seated at tables or 120 standing. Measures 10 x 15m and is 150m²; accommodating approximately 80 people seated at tables or 140 standing. Measures 10 x 20m and is 200m²; accommodating approximately 120 people seated at tables or 200 standing. Creating unforgettable events is all in the details. And our team are passionate about taking meticulous care of every element – from furniture hire, lighting and styling to power and heating – creating exactly the event you envisaged. Let us customise a styling package to suite your event. We have over 30 combined years in the events industry through construction, styling and floristry. Marquee hire like never before! Combine our stunning marquees with our unique furniture for hire to create a space where memories are made and last a lifetime. 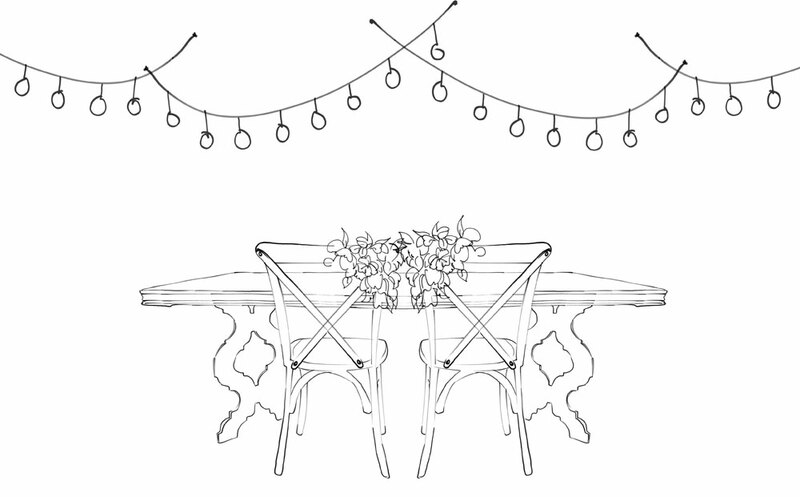 Furniture hire with a unique twist, chat to us about custom making a piece for your special day. If you want to have the ultimate weekend of celebrations and wish to keep your guests close to all the fun right into the night, then we have you covered! 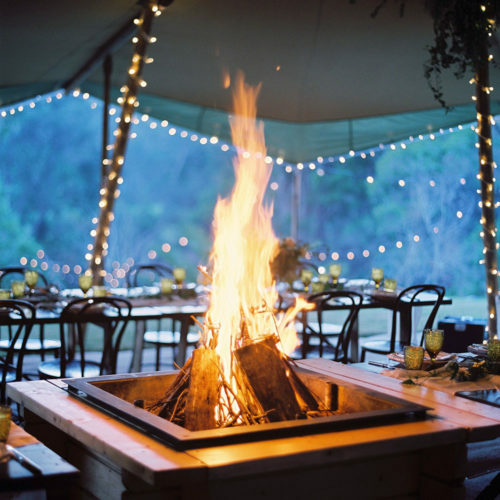 Our glamping tents afford style and luxury while connecting you with nature under the stars. 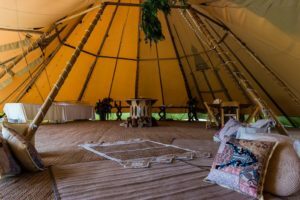 We can accommodate up to 240 people in our 5 metre bell tents, decked out with individually sourced Persian rugs, and with packages tailored to suit your needs and budget. 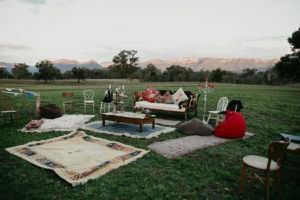 From inflatable mattresses, to real beds, with options to add outdoor furniture, camping and cooking gear, lighting etc.